Gelul Fresh Wave IAQ elimina mirosul neplacut in mod pasiv si constant, prin autoconsum, lasand in urma foarte mult aer proaspat fara miros de parfum. Elimina mirosul de molecule organice si anorganice provenite de la de fum de tigara, mucegai, gunoi, chimicale, mancare,fluide umane, animale si multe altele. Gelul neutalizant este pe baza de apa si uleiuri esentiale pure. Recipientul de 250 grame neutalizeaza mirosul dintr-un spatiu de 30 mp si se poate reincarca dupa consum. For more than 20 years, OMI Industries has focused on one single mission – providing odor abatement solutions to its customers’ most challenging odor problems using its patented, proven and independently tested technology. OMI’s science is renowned worldwide for its broad spectrum applications and efficient performance, as well as its safe, healthy attributes. If the objective is to eliminate unwanted problem odors – Fresh Wave® IAQ is the solution. 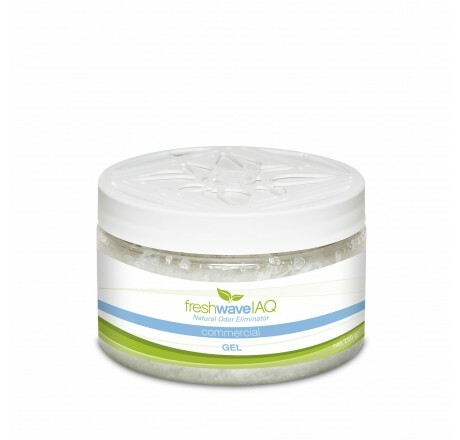 Fresh Wave® IAQ is engineered from a unique and simple formula, based on a proprietary blend of plant oils, food-grade surfactant and water, that is environmentally friendly, does not contain harmful VOCs, alcohol or fragrance and is safe to use in any commercial environment. Rather than masking odors, Fresh Wave® IAQ absorbs and destroys odors on the molecular level and is highly effective in eliminating the most difficult odors found in carpet and upholstery, restrooms and other locations, as well as instances of fire and water damage. Not only has the technology behind Fresh Wave® IAQ been tested and proven to be effective by academics and independent third parties, it has also earned the Environmental Protection Agency’s Design for the Environment (DfE) recognition. 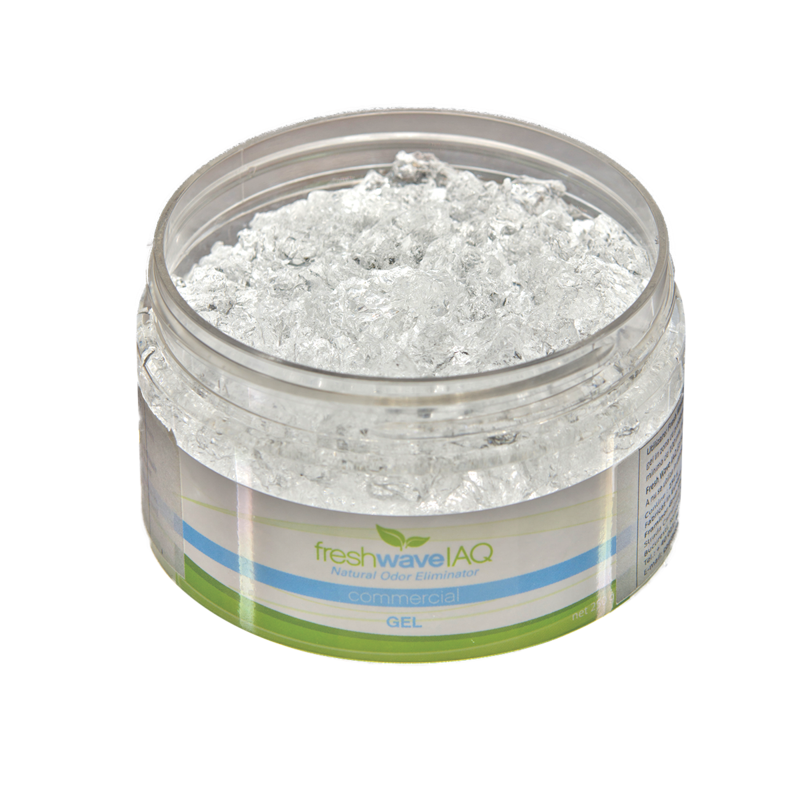 Fresh Wave IAQ is engineered from a proprietary blend of natural ingredients including water, lime, pine needles, aniseed, clove and cedarwood, which is environmentally friendly and safe to use. Contact: Fresh Wave IAQ molecules released into the air make contact with malodor molecules via opposing electrostatic charges and random contact. Absorption: Fresh Wave IAQ molecules absorb and destroy odors on the molecular level. Solubility: Fresh Wave IAQ enhances the solubility of most gases. Reaction: Fresh Wave IAQ modifies the malodor molecule to a non-odorous state. 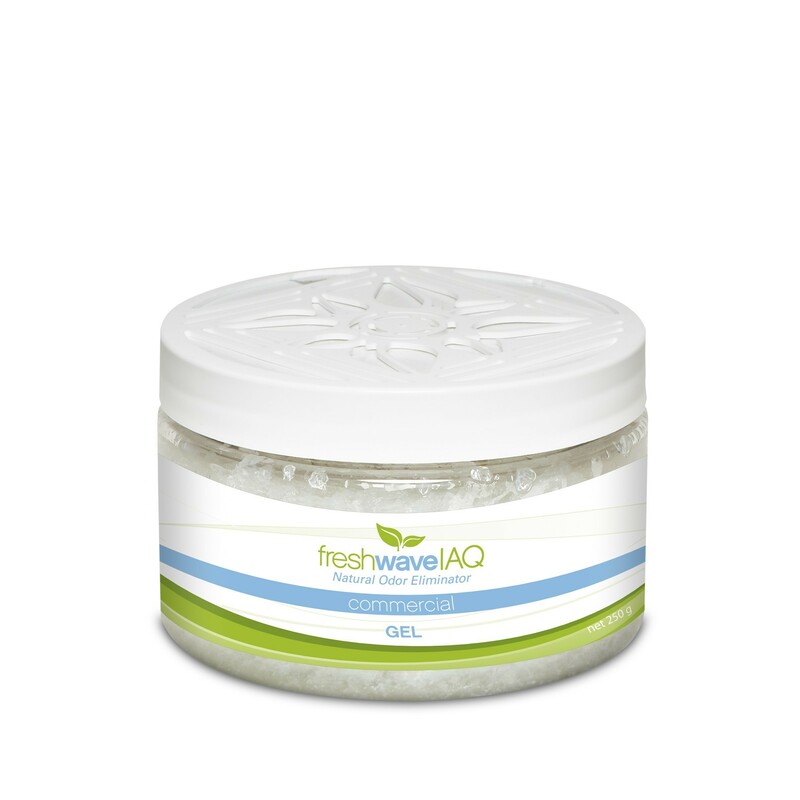 The Fresh Wave IAQ Gel has earned the Environmental Protection Agency’s Design for the Environment (DfE) recognition. The DfE label program recognizes products that are safe for use and for the environment. The science behind Fresh Wave IAQ products, OMI’s Ecosorb, has been tested, patented and proven to be effective by members of academia, as well as by third-party organizations such as American Foundrymen’s Society, German Foundry Institute and the Southern Petroleum Institute.